Peas are sweet, delicate vegetables that are members of the legume family. These tender morsels grow inside of smooth green pods, which must be removed before eating. 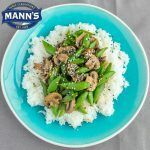 You can find fresh peas in their pods as well as frozen shelled peas at your local grocery store. 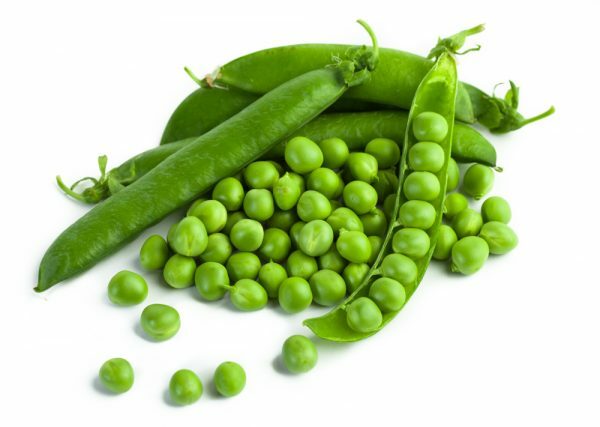 Peas are sometimes referred to as shelling peas, sweet peas, green peas, garden peas or English peas. 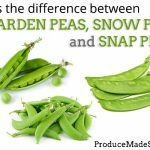 They should not, however, be confused with snow peas or snap peas, which have edible pods. You can learn more about the differences between these three here. Pea shoots are edible, and can be found in early spring. Look for firm, heavy, bright green pods with no blemishes. Fresh shelled peas should be glossy and plump. Peas in their pods should be kept in a plastic bag in the fridge for up to 3 days. Shell peas just being using. To Freeze fresh peas, place rinsed, shelled peas into boiling water for about 90 seconds, then plunge into an ice bath to stop the cooking process. Allow the peas to cool completely in the ice water, then drain and pat dry. Place the peas on a flat baking sheet and place in the freezer. Once the peas are individually frozen, you can transfer them to a freezer safe bag or container and store in the freezer until ready to use. You can also find frozen peas at your local grocery store. Rinse pea pods under cool running water, then pat dry. Snap the stem end and pull the fibrous string down the length of the pod. Pry the pod open, and tip the peas out into a bowl. Discard the empty pods and removed strings. Fresh peas only require a few minutes of cooking soften. 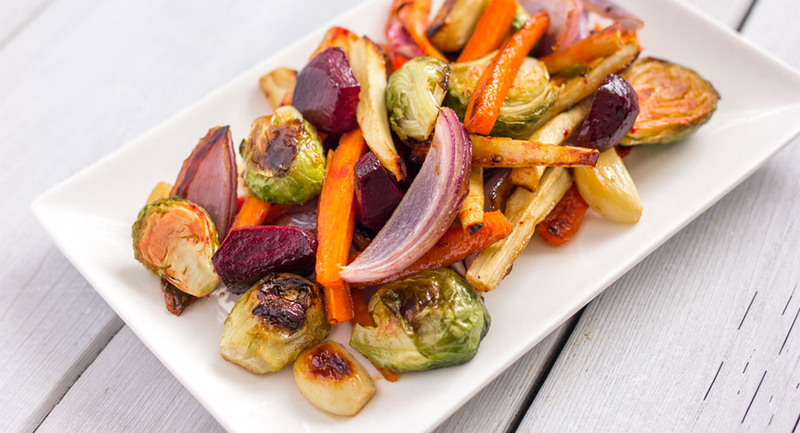 Try boiling them for 2 to 5 minutes (depending on the size) before serving with a pat of butter, or stirring them into pasta dishes. Frozen peas should be prepared according to the package instructions. Peas begin to lose their sweetness from the moment they are picked, so try to use them shortly after purchasing. One pound of peas in their pods will only give you about one cup (or one serving) or shelled peas. The fibrous pods cannot be eaten; however they can be added to enhance the flavour of vegetable stock. 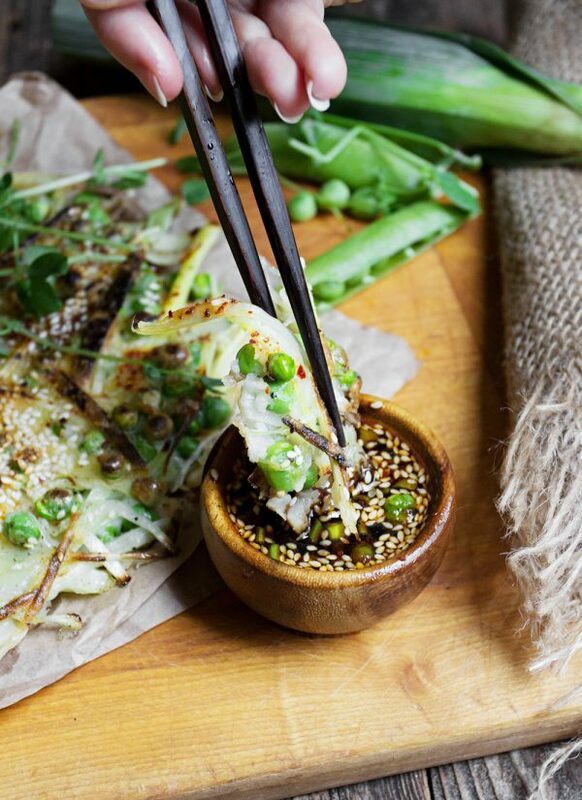 According to the Canadian Nutrient File, 85g (125 mL) of green peas contain a great number of your daily-recommended intake of nutrients, including 4.5 g of protein, 5.6 g of fibre, 27% of Vitamin K, 24% of folate, 20% of Vitamin C, 13% of magnesium, 11% of zinc, 10% of Vitamin A, 9% of phosphorus, 9% of iron, 6.5% of potassium, 3% of selenium, and contains 2192 µg of the antioxidants lutein and zeaxanthin!